Skye Gravestones | Chirsty MacDonald & s. Donald. Chirsty MacDonald & s. Donald. 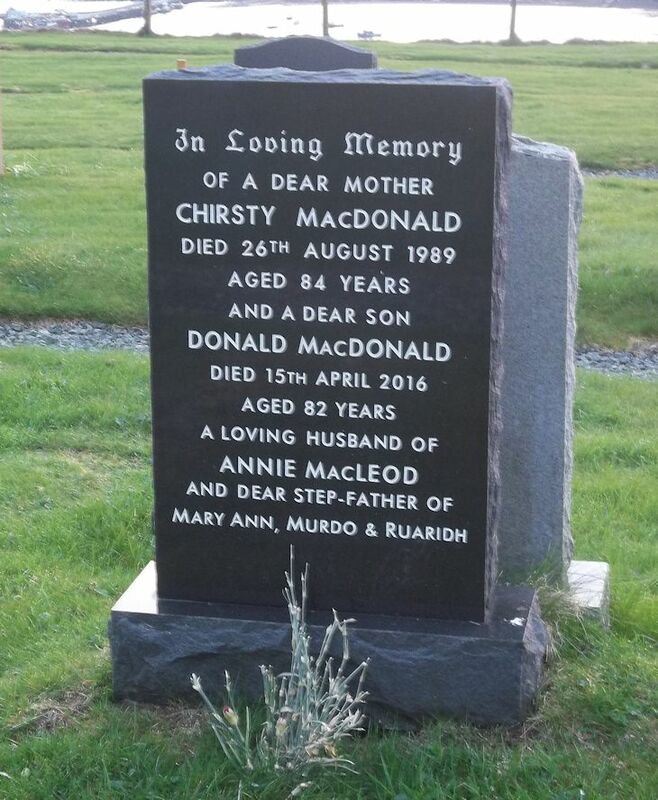 In loving memory/of a dear mother/CHIRSTY MacDONALD/died 26th August 1989/aged 84 years/and a dear son/DONALD MacDONALD/died 15 April 2016/aged 82 years/a loving husband of/ANNIE MacLEOD/and dear step-father of/MARY ANN, MURDO & RUARIDH.